In 1916, the Foremans hired a young black man of seventeen to come and work for them. His name was Thomas Jefferson Pressley and he was still in high school. He was born May 17, 1899 near Broken Arrow and came to Muskogee in 1907 and spent a summer with his grandmother. His uncle, a Creek Freedman named W.C. Escoe, had been friends with Judge Thomas. He went back to Broken Arrow then and stayed until 1911. Then he attended one school year at Tallahassee Mission School beginning in the Fall of 1912. That school closed in 1913 so he came to Muskogee living with a cousin at 907 Market Street, and attended Manual Training High School. Where he graduated in 1920. Pressley was bright, amitious, and hard working. After he graduated from Manual Training High School, Grant asked him if he would be interested in going to college. He said he would. Caroly Foreman’s aunt and uncle in Chicago (Ella and Wm. Duff Haynie) knew an official of the Katy Railroad and helped him get on as a Pullman porter. He worked on a sleeper route between Chicago and Tacoma, Washington. 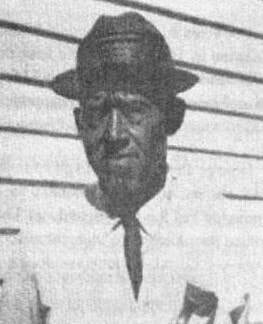 Pressley, as he was called entered the Meharry Medical College Detal School in Tashville, Tennessee, in the Fall of 1921, and worked to pay his way through school. After graduating, Dr. Pressley associated with a Dr. Wallace in Muskogee for a short time. He then went into dental practice in Bristow for a few years, but the Depression crippled his business. “The patients just didn’t have the money to pay and sometimes I pulled teeth for nothling if they were in pain.” He returned to Muskogee in 1929. (From and undated interview with C.W. "Dub" West. In 1929, when the Foremans were planning another extended trip around the world, it is said that Grant saw Pressley on the street. Learning of his need of work and wanting someone to look after the house and grounds while they were away, a deal was struck. Pressley became their house manager and very dear friend. Mrs. Foreman said that if it had not been for his care of the home, they would not have been able to do their work as well. He remained as cook, caretaker, and handyman. He lived in a small building at the rear of the home. In regards to the subject of the daily routine that the Foremans had, Thomas Jefferson Pressley, described it in an interview done many years later. One case in point, concerning whether or not they had a car, radio, TV, he told a story about the radio. They were entertaining Mr. and Mrs. Weisendanger for lunch in December, 1941, when a phone call came from a friend, Mrs. Enos, that lived on 10th street. She excitedly told them that Pearl Harbor had been bombed and the United States was at war. Mr . Weisendanger ran out to turn on the radio in his car so he could get more of the news. After that, the Foremans purchased a radio but only listened occasionally to news. As to how they spent their time, Pressley said they wrote or researched morning and afternoon. He said they, “worked hard”. They after dinner, they read the Daily Oklahoman, Muskogee Phoenix, and Muskogee Times-Democrat thoroughly before going to bed. He also said Grant would frequently go into town for some business, usually either riding the street car or walking. He would always bring her some little gift when he came home, either candy or some flowers. Asked if they went to church, he said “no, they never did.” They did go to the farm about 4 miles from town every Sunday afternoon. Most of their lives there was no such thing as air conditioning. After Grant became more frail, they had a window unit in the living room but didn’t use it much. Pressley laughingly recalled one occasion when Carolyn went somewhere, Grant stayed at home and the air conditioning was on. When she came home, he had all the windows open because he thought it was too cool. After Grant’s death, their friend Nettie Wheeler, thought Carolyn should have a television. She bought her one and a small stand on wheels. Pressley put it in her bedroom so she could watch it. She did not like it and told him to remove it. He tried it in the living room and she still did not want anything to do with it. He finally moved it into a closet, covered it with a blanket and tied it with a cord. After she died, and her niece was going through things in the Home, she watched it some and took it with her when she left. In 1943, T.J. Pressley married, somewhat late in life, at age 44. He married Erma Lee McQueen Duncan. She had worked at Boeing Aircraft in Wichita, Kansas and Central Meat Market in Muskogee. She also had a son by a previous marriage, James Harold Duncan. After their marriage, he lived with her at 1209 S. 22nd Street. He continued to come to the Foreman’s home every day to work, about three miles, sometimes walking and sometimes riding a bicycle. During these years, he is listed in the Muskogee City Directories, sometimes as a dentist and sometimes as a cook. He attended Old Agency Baptist Churst most of his life and served as Church Clerk most of those years. Thomas Pressley, servant of the Foremans for 40 years was retained as caretaker according to an article by Phil Harris June 14, 1970 in the Muskogee Times-Democrat. To complete the story of Thomas Jefferson Pressley, he continued to keep his promise to Carolyn to take care of the home. He was employed by the Oklahoma Historical Society after the residence became a Historic Home site and is listed in the Muskogee City Directories from 1971 on as the Custodian of the Thomas-Foreman Home Museum, still living at 1209 S. 22nd. Pressley’s wife Erma passed away March 7 1994. Her obituary says in her younger days she “had traveled with the ‘Duke Specials’ and sang many songs, two of her favorites being ‘Thank You Sir’ and ‘Hold Out Until Tomorrow.’ Her funeral was held in the Union Baptist Church and burial was in the Oktaha Community Cemetery. (5) Thomas-Foreman Home Collection.